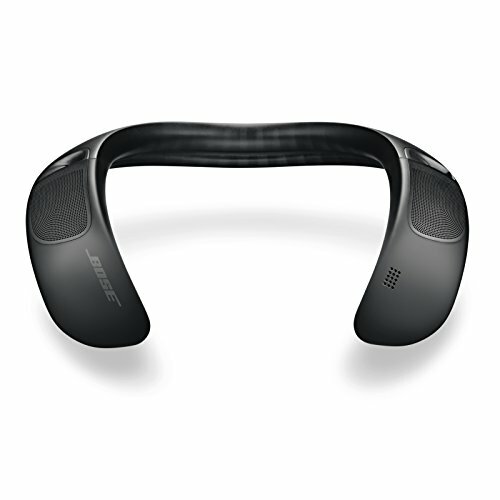 Introducing the latest in a long line of groundbreaking, innovative products from Bose. 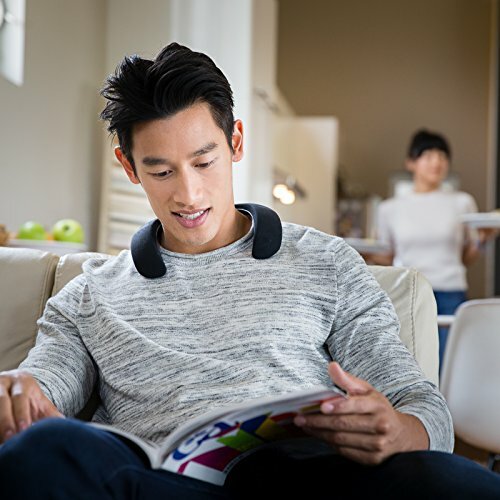 The SoundWear Companion speaker is a wearable speaker that surrounds you with sound, so you can stay connected to your environment, access music and virtual assistants (like Siri and the Google Assistant) and take calls—all without having to take your phone out of your pocket. It’s packed with technologies that create a truly unique and immersive sound experience—surrounding you with clear, full sound—while limiting what others hear around you. 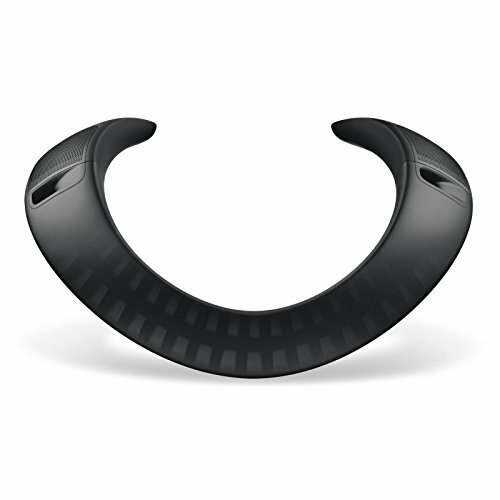 With a comfortable and flexible design, it’s better sound you can wear at work, at home or on the go. Every part of this speaker is engineered to deliver clear, powerful sound and surprisingly deep bass. Digital signal processing and legendary waveguide technology pump out the kind of deep, rich sound other wearables don’t. 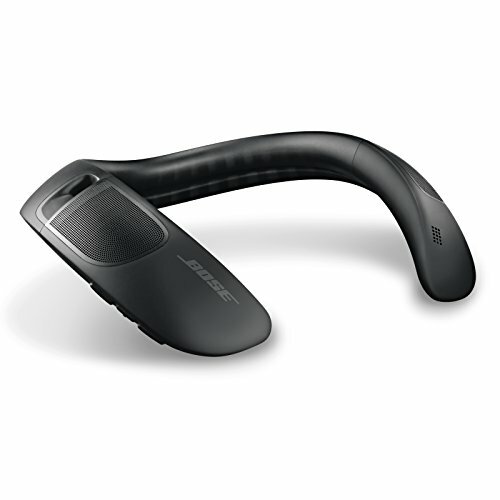 Upward facing speakers point precisely toward your ears, maximizing what you hear, while minimizing what others hear. A three-button control makes it easy to make calls, play and pause tracks and access your phone’s Siri or the Google Assistant right from the speaker. An advanced microphone system ensures calls and your phone’s virtual assistant apps sound clear and intelligible even in windy and noisy environments. You can choose between vibration and out-loud alerts to notify you of incoming calls. And the speaker plays for up to 12 hours off a single charge (and a quick 15-minute charge delivers up to 3 hours of performance), so you can listen throughout your day. 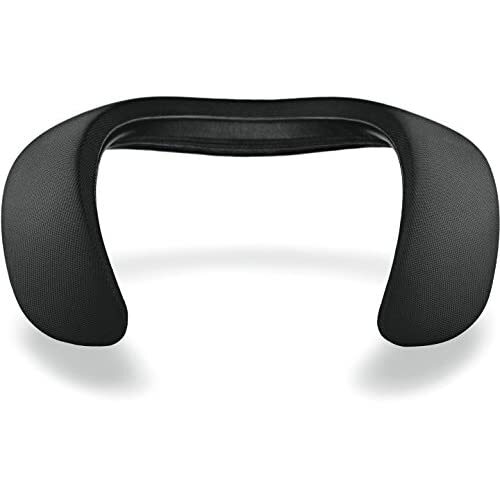 The SoundWear Companion speaker is flexible, durable and so comfortable you may forget you are wearing it. 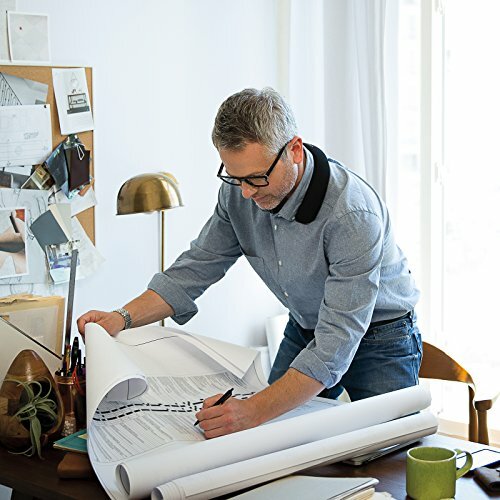 A bend-and-stay steel wire encased in medical grade silicone provides just the right amount of low-spring torsion to stay form-fitted to your shoulders throughout the day. The speaker is sweat and weather resistant (with an IPX4 rating) and comes with a four-way stretchable cover made to withstand dust and static. And the cover is acoustically transparent, so nothing gets between you and better sound. Additional speaker covers—available in Blue, Plum and Grey—are sold separately.